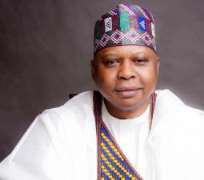 KABIRU Tanimu Turaki, frontline Peoples Democratic Party, PDP, presidential aspirant, SAN has said that President Muhammadu Buhari could no longer muster 12 million votes in the North due to his dismal performance, deceitful propaganda by his government and ill-treatment of the people. The so-called 12 million voters the All Progressives Congress, APC, is laying claim to in the North would have been reduced drastically since 2015. “How do you expect them to come out and aggregate votes up to that number for somebody who has been the architect of their current misfortune?” Turaki asked. The presidential aspirant also denouced the Buhari's restrictive definition of corruption.